Once again, the LDLC ASVEL basketball club chooses VOGO SPORT to cover one of its key matches. LDLC ASVEL is a French 1st division basketball club which act as a “player of digital innovation in French basketball”. Club President Tony Parker and his team are also keen to entertain fans who support their favourite team at the “Astroballe” arena. 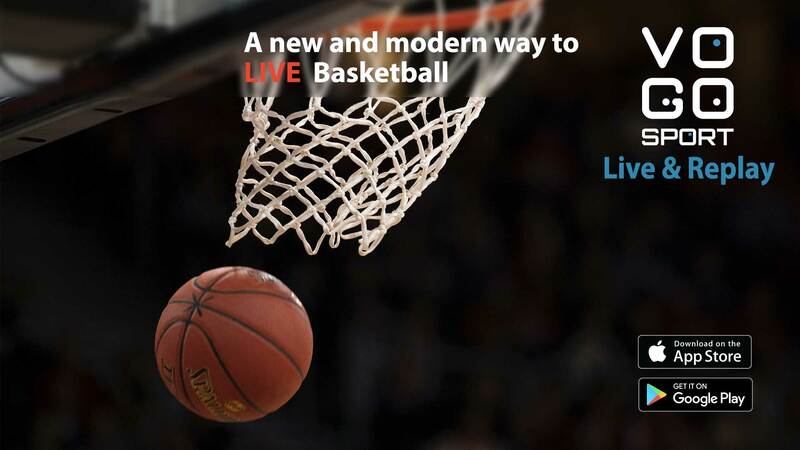 The “Live & Replay” VOGO SPORT service is one of the digital innovations chosen by the “Villeurbanne” club – near Lyon city in France. On 24 May 2018, the club called on VOGO SPORT to cover the Playoffs’ second leg quarter-final between ASVEL Basketball and Le Mans. On site, spectators were able to experience the game in a different way thanks to the various functionalities of the VOGO SPORT application, namely the multi-cam vision to review a dunk or a specific action, instant replay, slow motion, zoom and other exclusive content of LDLC ASVEL ! Following the success of this first “Fan Experience” operation, VOGO SPORT is back to cover the game between LDLC ASVEL and Elan Béarnais Pau-Lacq-Orthez, for the 26th day of Jeep® ÉLITE, with kick-off on Wednesday, April 10, 7:30 pm. On its website, the club also explains to spectators how the VOGO SPORT application works. Basketball fans, meet tomorrow at the “Astroballe” venue (Villeurbanne, France) for a lively and hyper-connected game!